Heart valves have been successfully repaired and replaced by surgeons for almost a century. Sometimes patients want less invasive options or are just too sick for surgery. 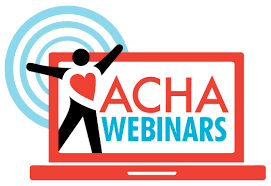 If you want to learn more about how heart valves are replaced without opening the heart, who is a candidate, what are their options, and what they need to know about the procedure, you want to attend this webinar. Register today so you don’t miss out. Dr. Richard Krasuski is Director of the Adult Congenital Heart Disease Center, the Director of Hemodynamic Research and Professor of Medicine and Pediatrics at Duke University Medical Center. Dr. Krasuski served as an officer in the United States Air Force at Wilford Hall Medical Center in Texas. During that time, in 2004 he was voted Researcher of the Year at Wilford Hall Medical Center and in 2005, he was the youngest physician ever recognized for the Gold Headed Cane Award for academic, clinical and research expertise. In 2013 he was awarded the Bruce Hubbard Stewart Award for Humanistic Medicine at the Cleveland Clinic. Dr. Krasuski is a Fellow of both of the American College of Cardiology (ACC) and the American Heart Association (AHA), and currently serves on the ACHA Medical Advisory Board. The mission of the Adult Congenital Heart Association (ACHA) is to improve and extend the lives of the millions born with heart defects through education, advocacy and the promotion of research. If you would like to find out more about our programming, visit our website, http://www.achaheart.org. To support ACHA’s mission to improve and prolong the lives of heart defect survivors, you can make a donation on our website. This webinar was made possible in part by unrestricted educational grants from Actelion Pharmaceuticals US, Inc., Edwards Lifesciences Foundation, and Gilead Sciences.